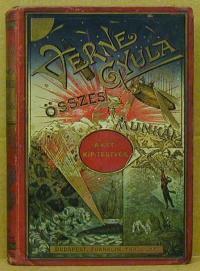 Verne , Jules: A föld felfedezése. I-IV. köt. Budapest. 1910-11. Franklin. 1369 p. illustrated. cloth binding. Hungarian language. 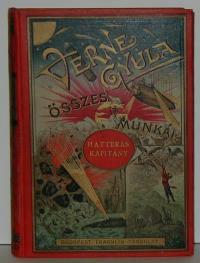 328, 351, 327, 363 p.
Verne Gyula: Hatteras kapitány kalandjai. Budapest. 1899. Franklin-társulat. 479 p. illustrated. cloth binding. Hungarian language. Verne Gyula: Az új hazában. Budapest. 1901. Franklin-társulat. 247 p. illustrated. cloth binding. Hungarian language. 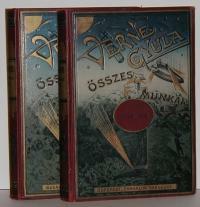 Verne Gyula: A bégum ötszáz milliója. A.
Budapest. 1903. Franklin-társulat. 238 p. illustrated. cloth binding. Hungarian language. 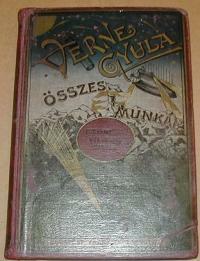 Verne Gyula: Antifer mester csodálatos kalandjai. Budapest. 1896. Franklin-társulat. 448 p. illustrated. cloth binding. Hungarian language. 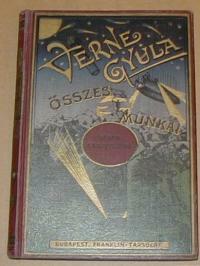 Verne Gyula: Senki fia I-II. Budapest. without year. 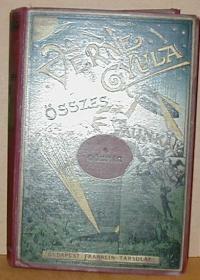 Franklin-társulat. 624 p. illustrated. cloth binding. 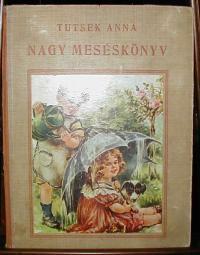 Hungarian language. Verne Gyula: Servadac Hector kalandos utazása a naprendszeren át. Budapest. without year. Franklin-Társulat. 311 p. illustrated. cloth binding. 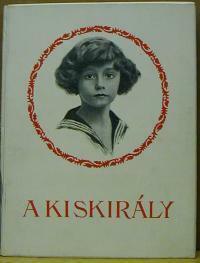 Hungarian language. BUDAPEST. 1924. Pallas. 90 p. illustrated. 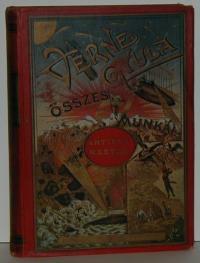 half cloth binding. Hungarian language. 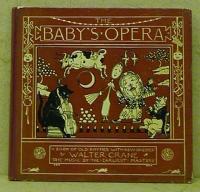 Crane, Walter: The Baby's Opera. A book of old rhymes with new dresses. The music by the earliest masters. London.New York. Ca. 1890. Frederick Warne. 56 p. illustrated. 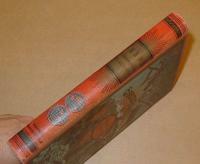 half cloth binding. English language. Budapest. without year. Singer és Wolfner. 115 p. illustrated. 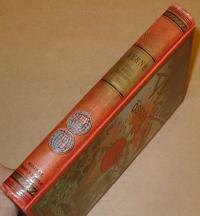 half cloth binding. Hungarian language. May, Károly: Winnetou I-VI. köt. Budapest. without year. Athenaeum. cloth binding. Hungarian language. 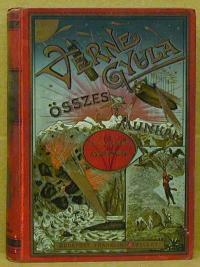 Verne Gyula: Grant kapitány gyermekei. I-II. köt. Budapest. without year. Franklin. 508 p. illustrated. cloth binding. Hungarian language. Budapest. 1896. Franklin. 468 p. cloth binding. Hungarian language. Kopott. A könyvtest laza, az első előzéklap hiányzik. 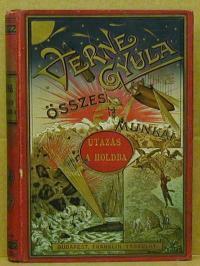 Verne Gyula: Utazás a holdba. Budapest. 1905. Franklin. 272 p. cloth binding. Hungarian language. Kopott. 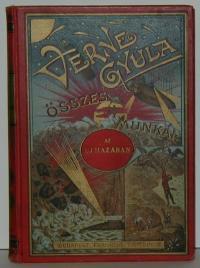 A gerincen szúrágás nyoma. Budapest. 1904. Franklin. 212 p. cloth binding. Hungarian language. Budapest. 1892. Franklin. 472 p. cloth binding. Hungarian language. 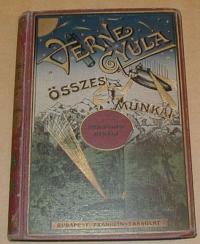 Verne Gyula: A Bégum ötszáz milliója. Budapest. 1916. Franklin. 230 p. cloth binding. Hungarian language. 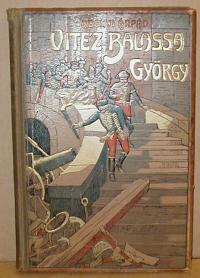 Abonyi Árpád: Vitéz Balassa György. Budapest. without year. MKKH és KV. 187 p. illustrated. cloth binding. Hungarian language. Budapest. without year. Dante. 63 p. illustrated. 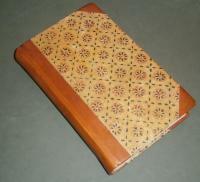 half cloth binding. Hungarian language. Verne Gyula: Várkastély a Kárpátokban. Budapest. without year. Franklin. illustrated. cloth binding. Hungarian language. size: 20x13 cm. stained. shabby. 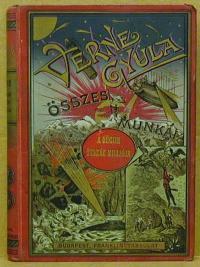 Verne Gyula: Utazás a holdba. Kilencvenhét óra és hús perc alatt. Verne Gyula: Strogoff Mihály utazása Moszkvától Irkutskig. 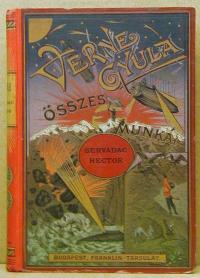 Verne Gyula: Város a levegőben. 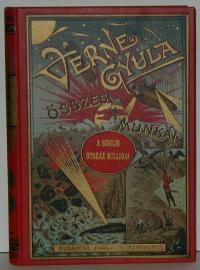 Verne Gyula: Storitz Vilmos titka. Budapest. without year. Franklin. 354 p. illustrated. cloth binding. Hungarian language. 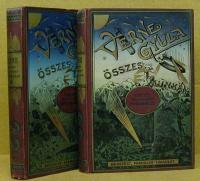 Verne Jules: PAYS DES FOURRURES. Paris. without year. Hetzel. 410 p. illustrated. halfleather. French language. 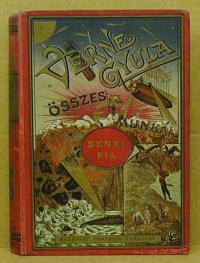 Verne Gyula: Utazás a föld középpontja felé. Budapest. 1897. Franklin. 336 p. illustrated. cloth binding. Hungarian language. Budapest. 1894. Franklin. 319 p. illustrated. cloth binding. Hungarian language. 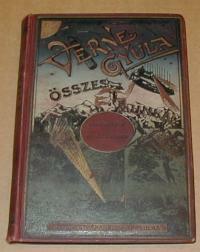 Verne Gyula: A francia zászló. Budapest. without year. Franklin. 224 p. illustrated. cloth binding. Hungarian language. Sokat eszel, erős leszel! Gyermekmérce. Budapest. 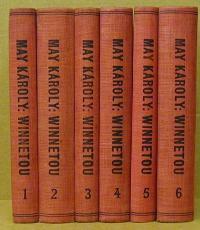 1953. without publisher. 8 p. illustrated. 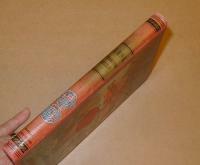 half cloth binding. Hungarian language. 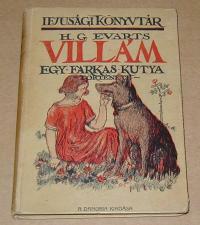 Ewarts H.G: Villám. Egy farkaskutya története. Wien. without year. Danubia. 215 p. illustrated. boarding. Hungarian language. Budapest. without year. Korvin Testvérek. 12 p. paperbinding. Hungarian language. 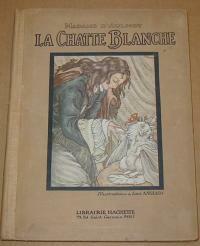 D'Aulnoy Madame.-Anglada, Lola (Illus): LA CHATTE BLANCHE. Paris. ca.1920. Librairie Hachette. 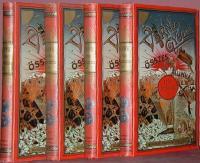 55 p. half cloth binding. French language. Tanítás kezdete vagy is a kis gyermekeket gyönyörködtetve oktató képes-könyv amely haszonvehető azokra nézve is, akik még nem olvasnak. - Erste Lehren u. Bilder. Bécs. without year. Pichler Antal. 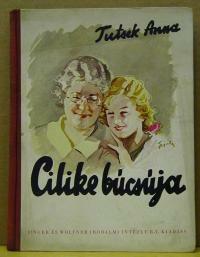 200 p. . Hungarian language. Restaurált példány a metszetek foltosak. Néhány szöveges lap pótolt, nem lehet észrevenni.